This is an aspiration or inclination for all Indian citizen that he or she grew and will be an Indian army soldier or officer and do hard work to get a position in the Indian military. Everyone childhood dreamed of being a member of the Indian army? Joining the army as a profession is always a dream for every young person. Everyone wishes to serve his country through the army and want peace in his country. Here you can see how you look in these clothes if you purchase these suits from the market. So you can easily get an idea related to those wear clothes or army dress. Indian Army Photo Suit Editor - provides a different type of army suits for both male and female with several colors and sizing. By mean of this Indian army photo editor entertain yourself with family and friends by army suit editor and pick up the best Indian army suit which fits your personality and shows yourself an army man. Indian Army Photo Suit Editor is one of the best India police photo frames app. Indian military photo maker is actually made for those people who love army uniforms and Indians arm forces like the Indian Navy, Indian air force etc. This is a best suit photo editor, army suit photo frames, and Indian army photo editor app for Android OS in all over the world. Manage your photograph with Indian army suit editor and consider yourself as a brave and skillful military army man. We made Indian army photo suit editor application for those who wish to be in Indian army dress photo suit and wish to become a good Indian army brave man or even Indian police or soldiers. 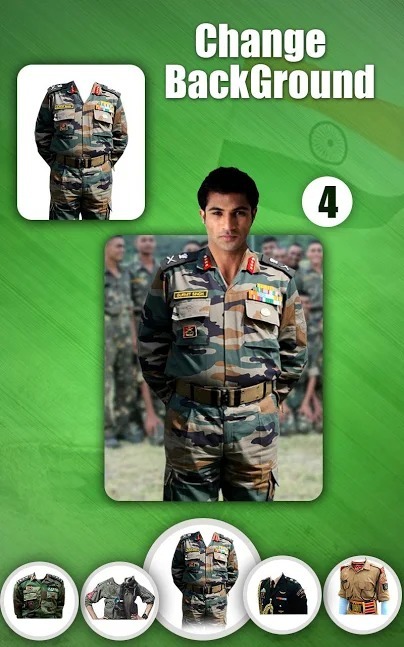 This Indian Army Photo Suit Editor is a Mobile fun app, specially made for people who love to take more photos in Indian Army dressing. Indian Army Photo Suit Editor is an effect of different styles of the international army and grooms your personality. If you love to wear an army uniform or want to see your friend in army dress to see how you will be looked in any country soldier uniform. 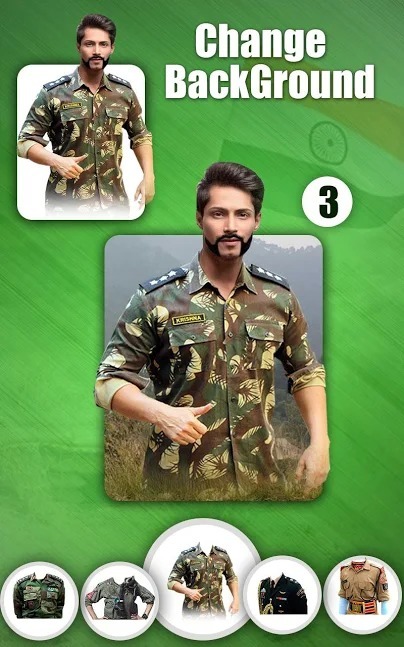 No need to purchase the Indian army Uniform, everything is ready in this dress changer photo app for you. You can just take a photo from your camera or customize to select many photos from the gallery and start editing and make yourself a brave army man commando. After selection or capturing the photo with camera u can apply any Indian military Suit uniform to your photo. This App allows you to Captures a photo through your mobile camera or choose a picture from Gallery and gives it an Indian army look after you can use these picture from your social platforms like your Facebook, WhatsApp, Instagram, and many others. 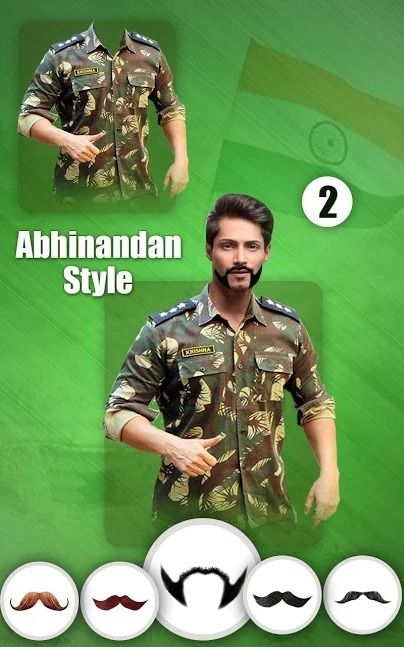 Indian army suit editor 2019 is ordinarily free smart phone army suit change face app which often delivers HD army costumes collection. If you ever wish a dream to become an army soldier after that this particular Indian army photo frames app can make your wishes true. Indian army suits are particularly recommended for you. This military Indian army photo suit editor application produces a remarkable pictures. 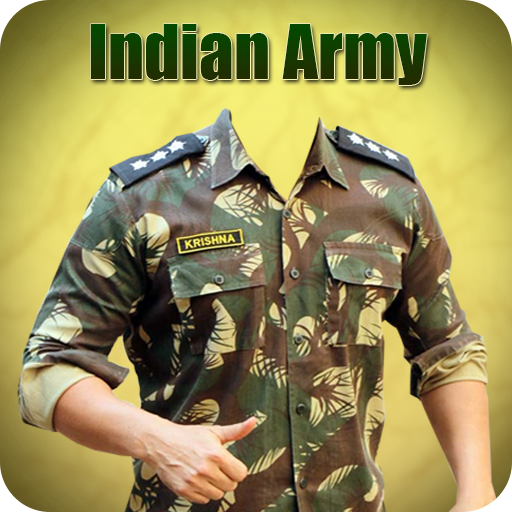  Easy to use and apply India army photo suit, editor.  Take a photo from the photo gallery or get photographs using the phone's camera.  Click one by one picture and pick the favorite one.  More than 15 photo suit designs are offered.  Save your image to the SD card.  You can send the photo with police photo frame to friends.  Work totally offline, no internet connection is required. 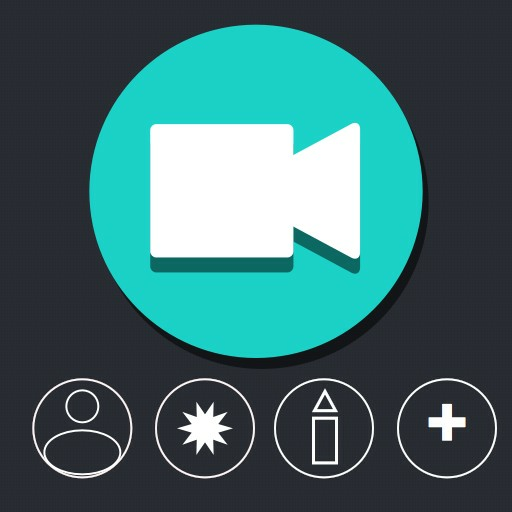 You can easily adjust your pic like zoom in, zoom out &move your Picture to fit perfectly within the template. 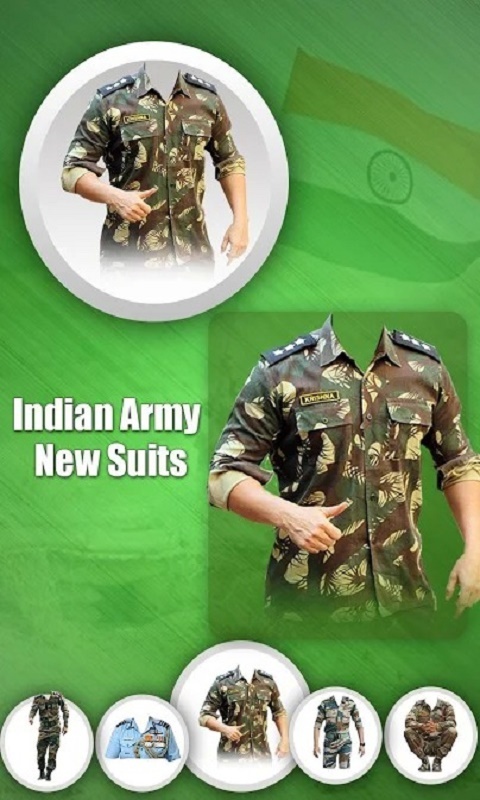 Download this Indian Army Photo Suit Editor2019 – Army Suit Editor Application that easily available on market free and make your boring photos memorable. Give us a rating and information from your good suggestion in order to improve our work. We will make all those changes in its which you people refer. I hope you can like our app Thanks!